Screenstar: Your schedule is full now with big-big films. How much time will you be able to devote to smaller projects, like The Loss Of A Teardrop Diamond? Evans: This was the next hurdle. This is obviously going to be a very time-consuming ordeal, not just with Captain America , but with The Avengers. They’ll shoot back to back. The shoots are long. The press is very time-consuming. It’s going to be very tricky. These are all the things I’ve had to try and weigh. But I said, “Well, if you do this, hopefully it will enable me to make whatever I’d like to make in the future.” That’s an opportunity you want. It’s chess, really. Sometimes this one move isn’t going to bring you everything you want, but five moves down the line it just may. So, again, it was pros and cons, and the pros won out. 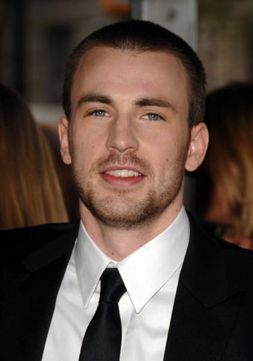 Evans can currently be seen in the Losers. Up next is Scott Pilgrim Vs. the World on August 13th, 2010 and of course Captain America: The First Avenger, coming to a theater near you summer 2011.